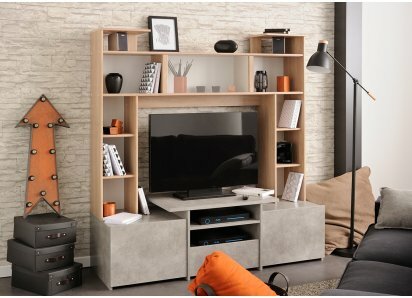 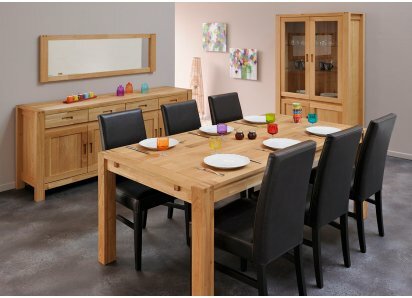 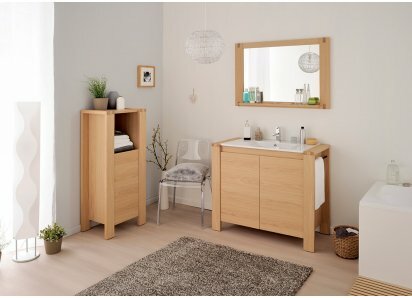 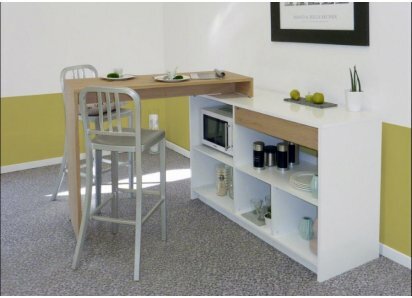 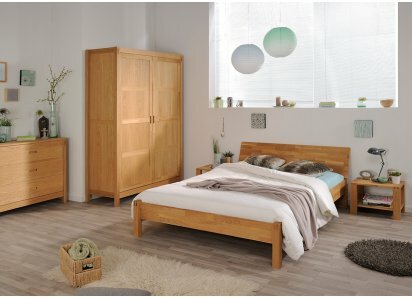 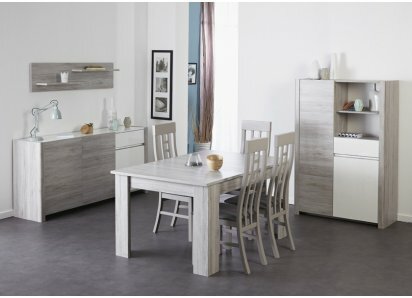 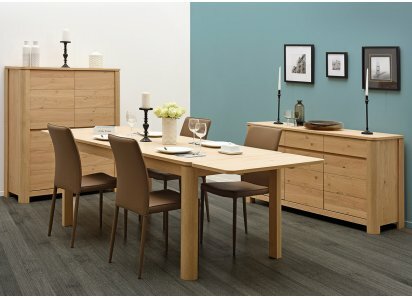 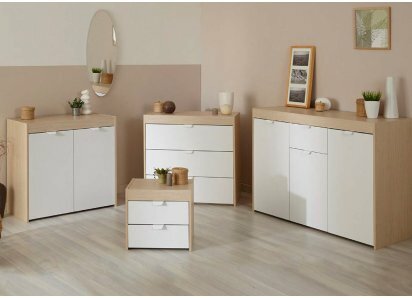 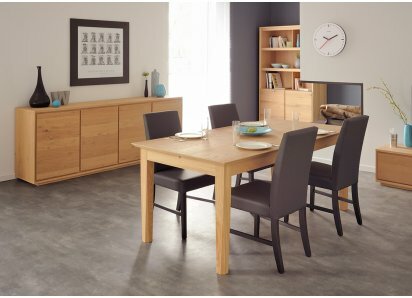 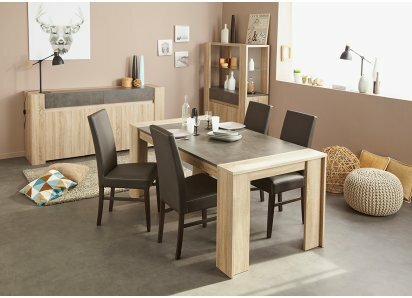 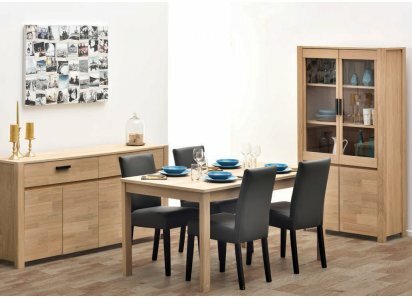 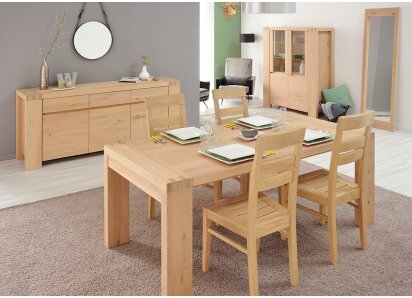 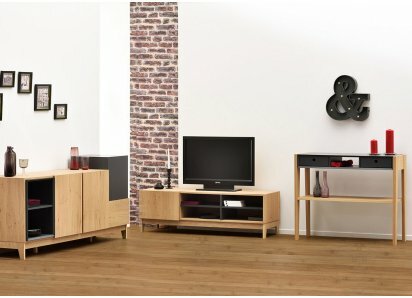 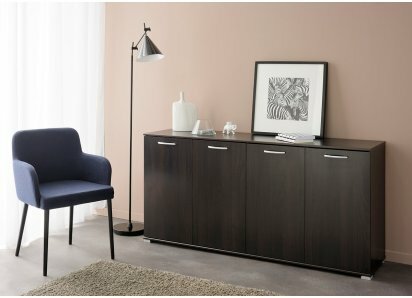 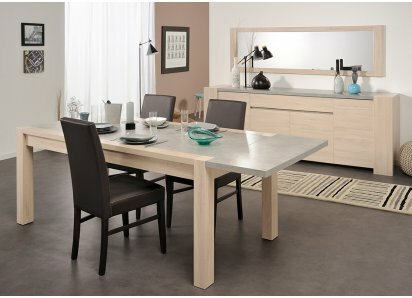 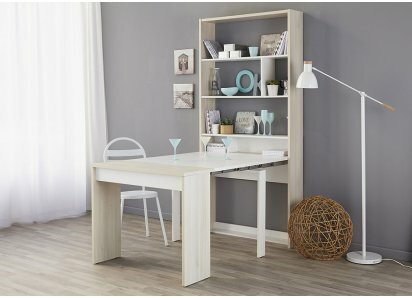 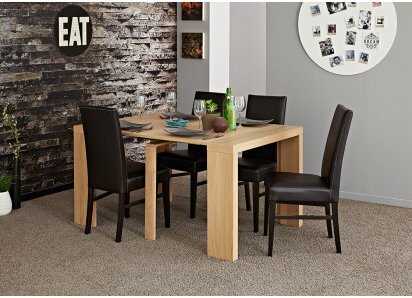 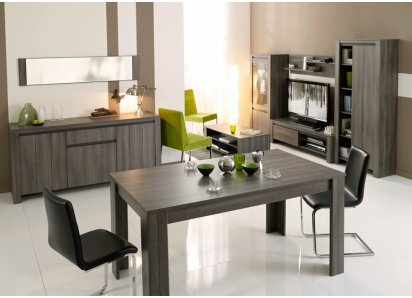 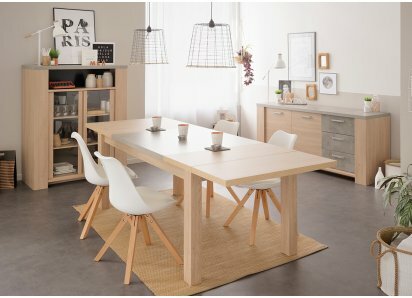 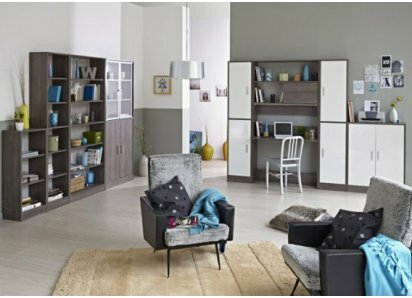 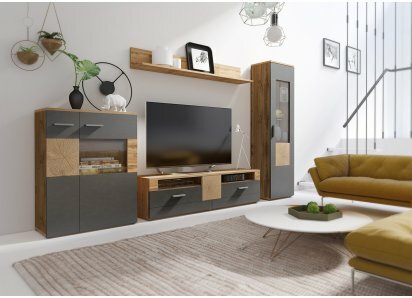 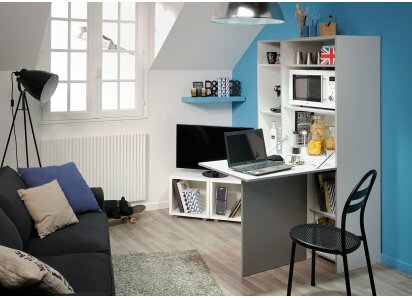 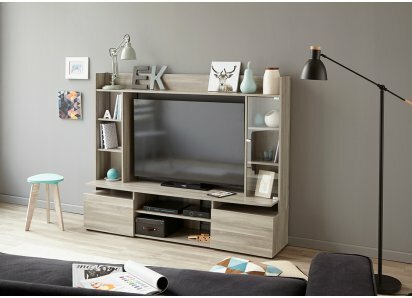 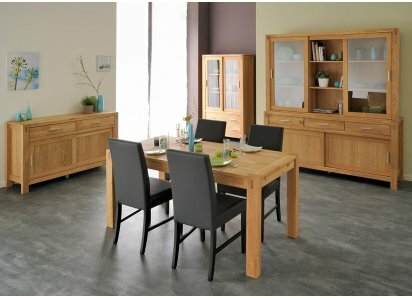 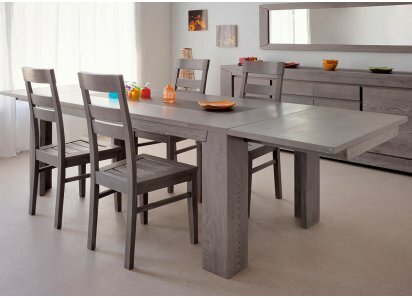 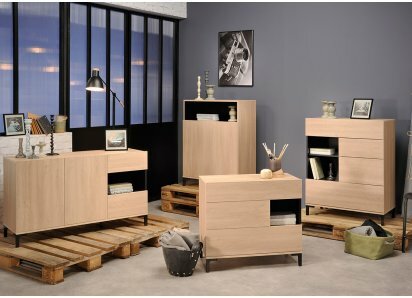 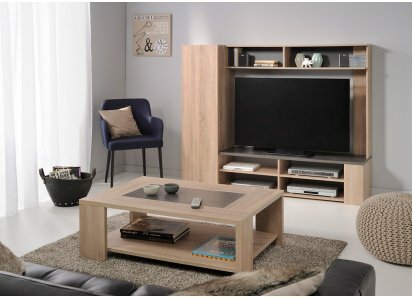 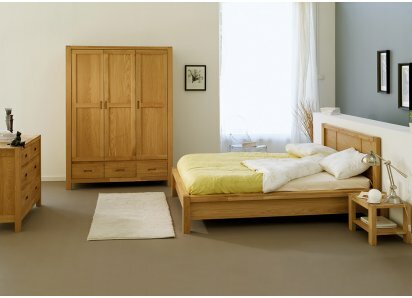 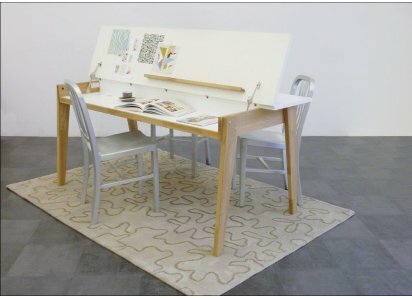 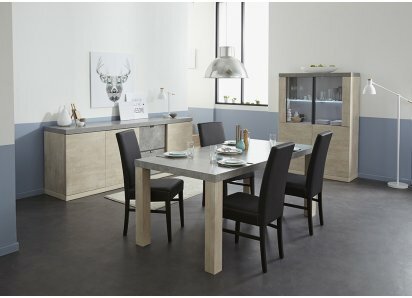 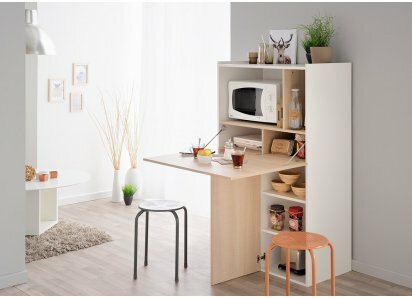 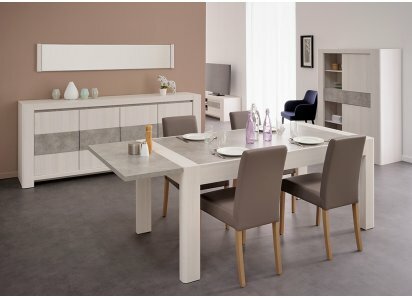 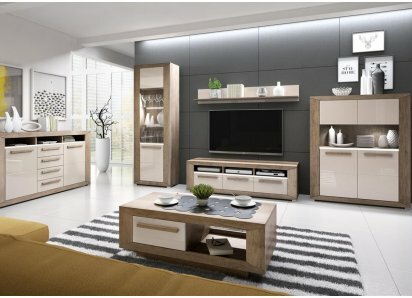 The RoomSmart Ceram Dining Room Furniture Collection is designed by the Parisot Company, who specializes in creating solutions for small spaces, and is committed to eco-friendly manufacturing. 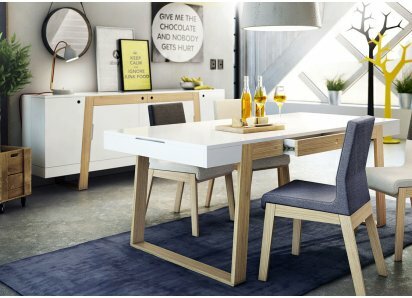 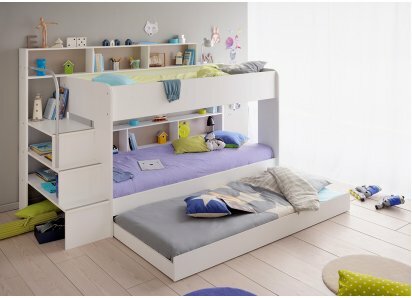 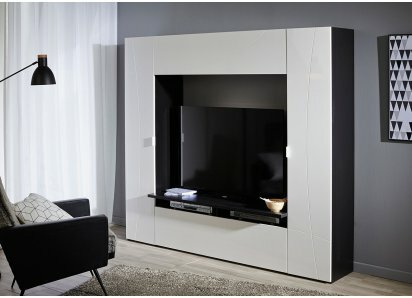 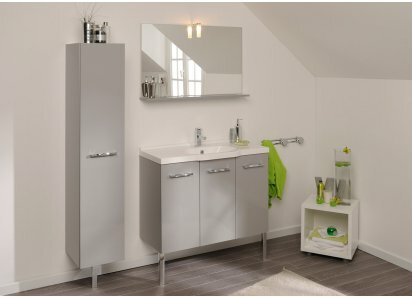 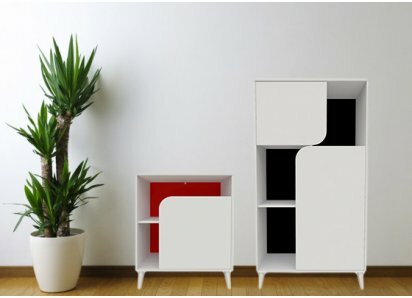 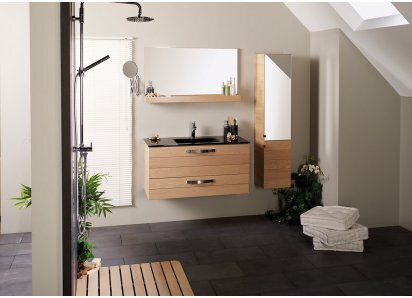 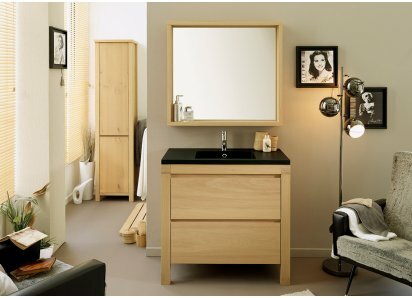 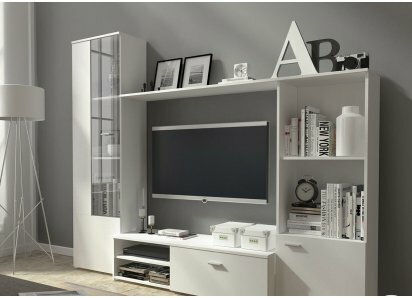 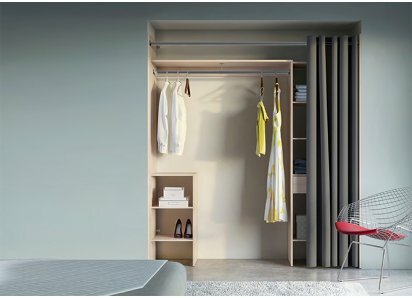 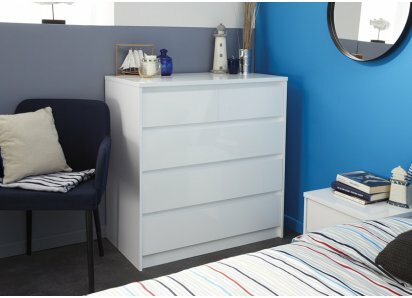 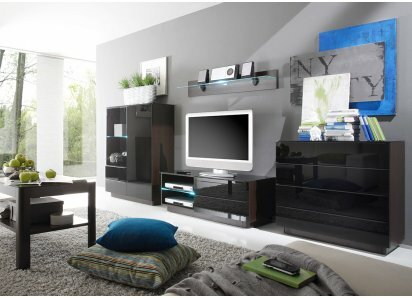 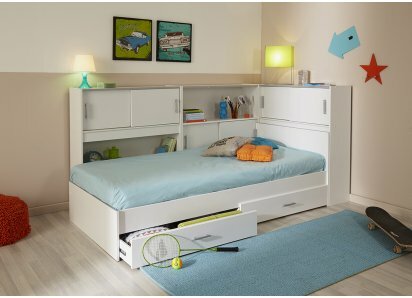 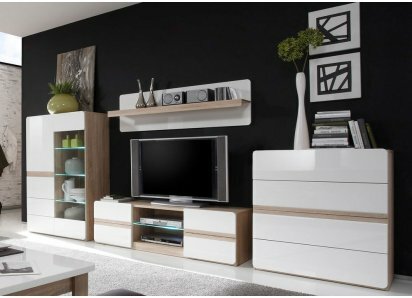 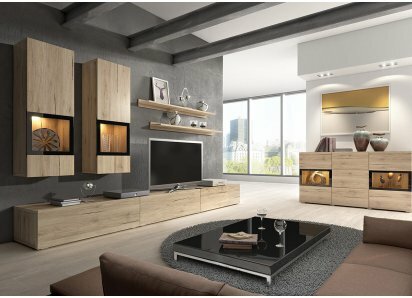 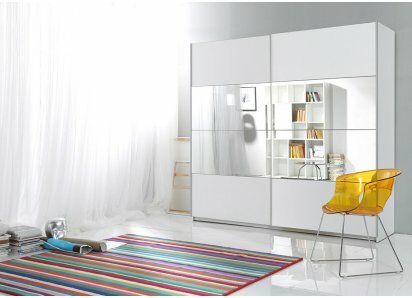 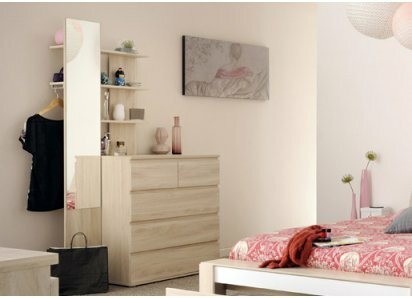 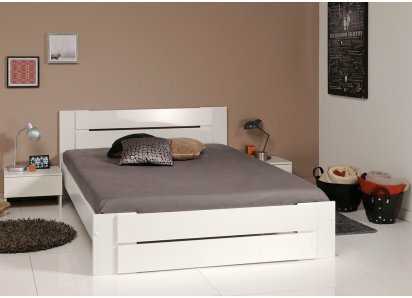 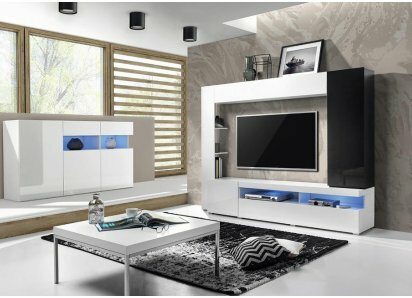 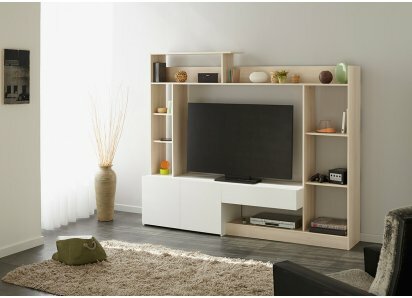 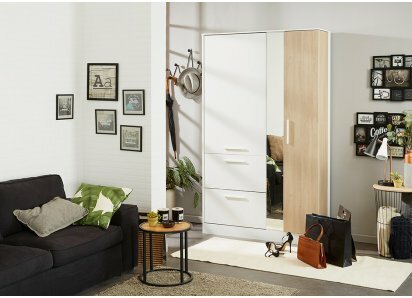 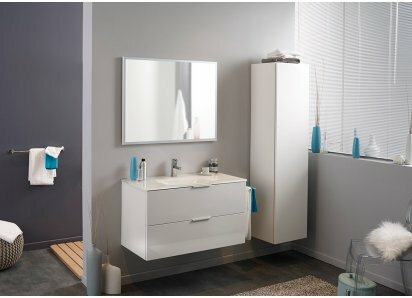 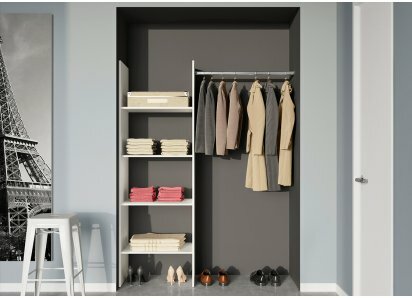 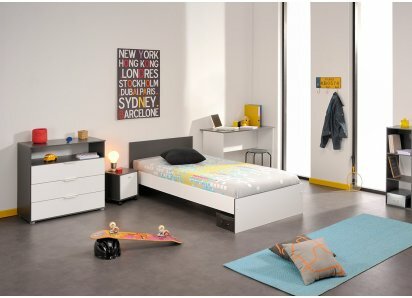 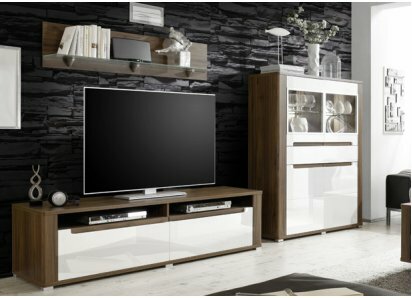 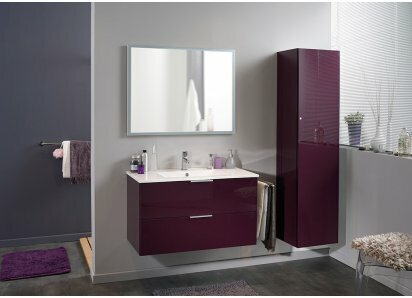 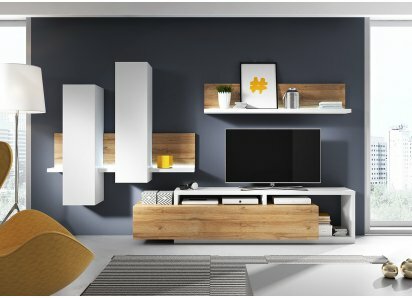 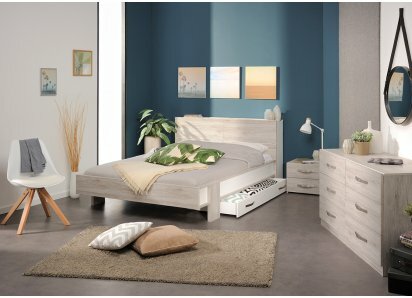 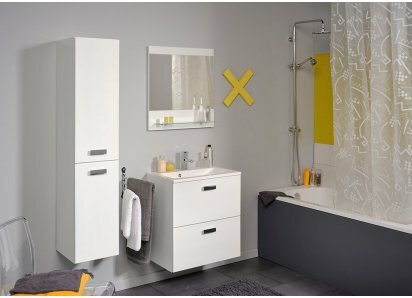 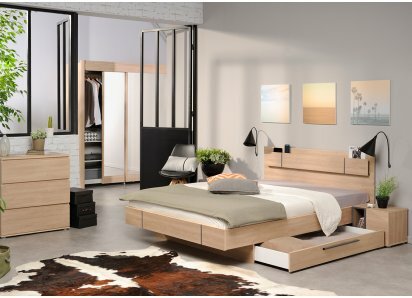 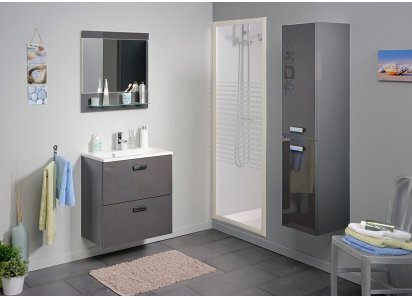 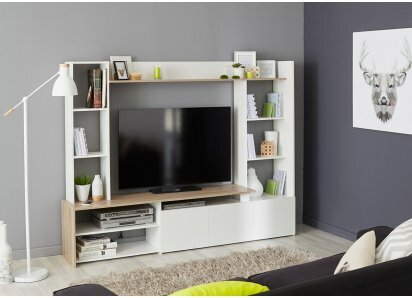 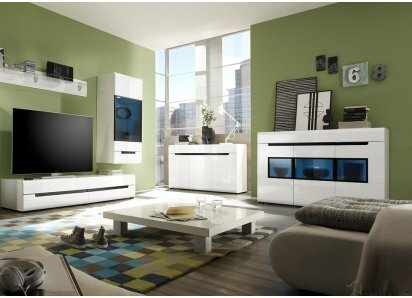 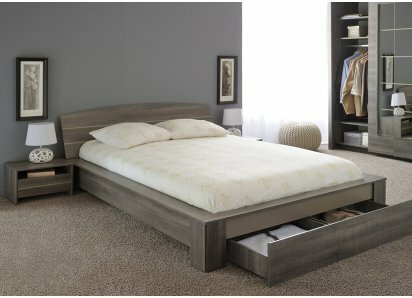 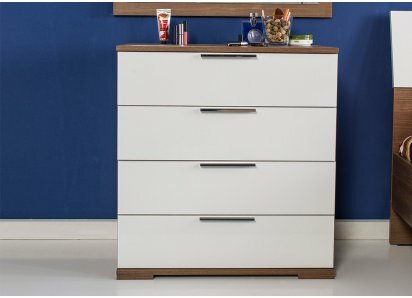 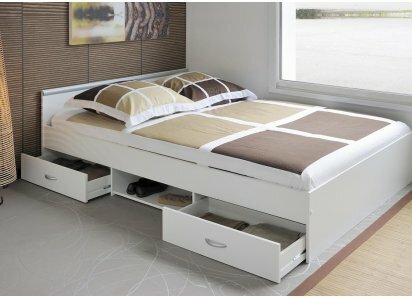 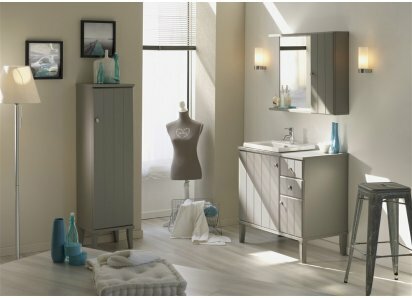 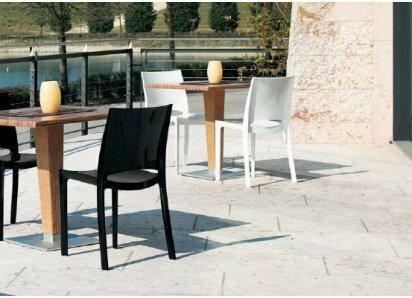 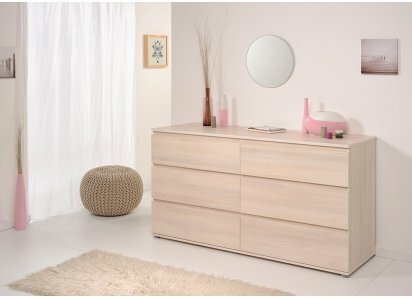 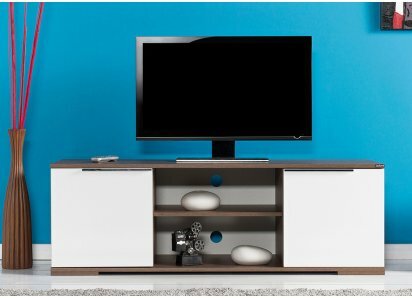 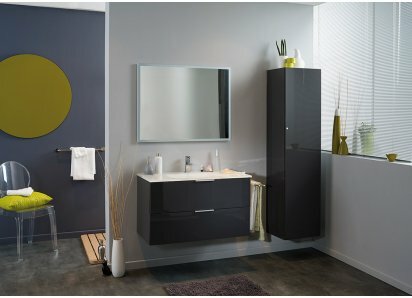 The Ceram Collection is made from high-quality particle board, surfaced with white, high gloss melamine, creating this sleek, ultra-modern style. 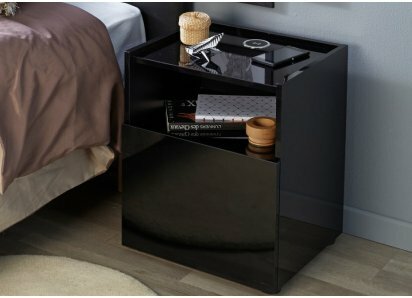 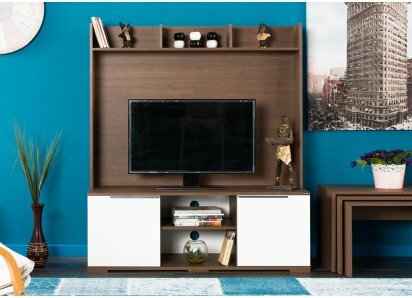 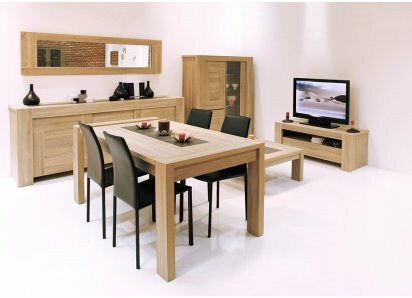 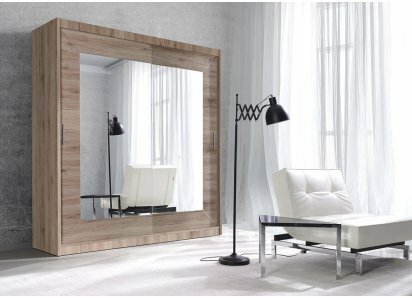 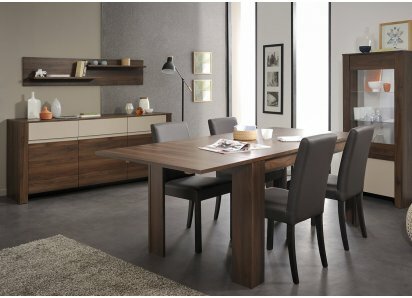 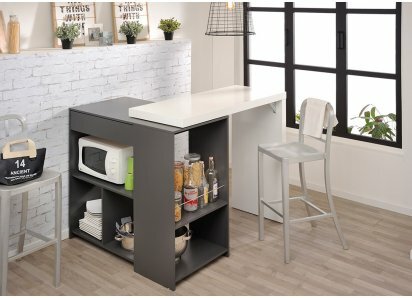 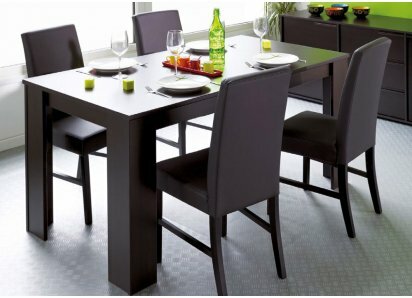 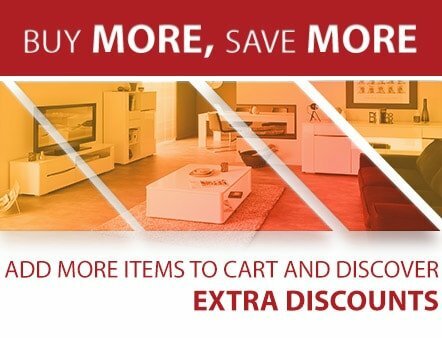 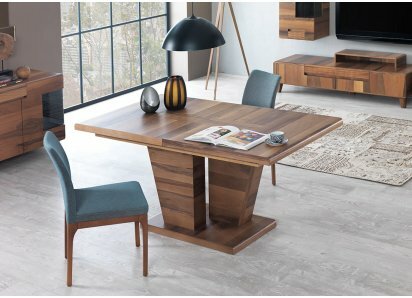 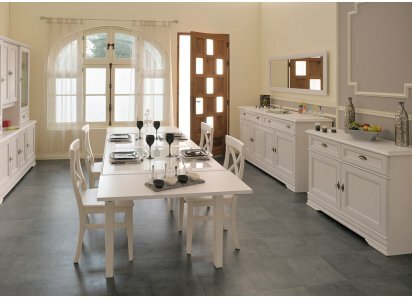 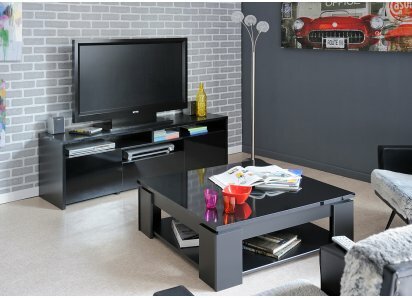 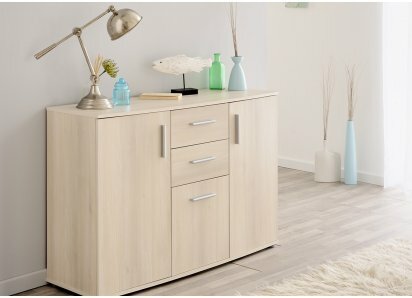 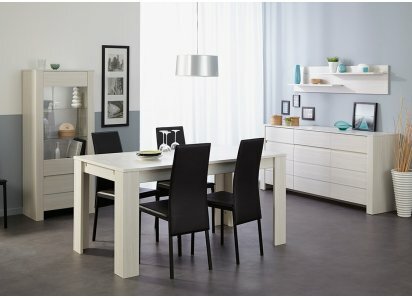 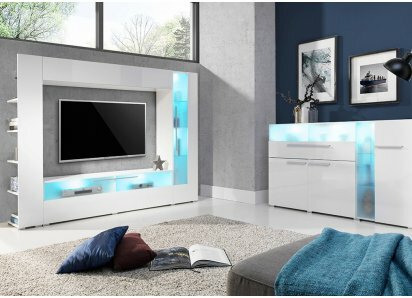 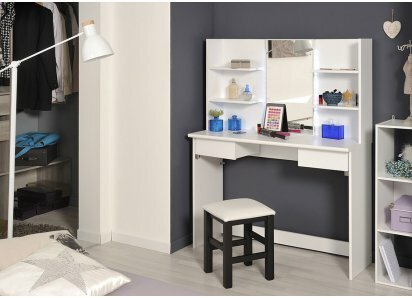 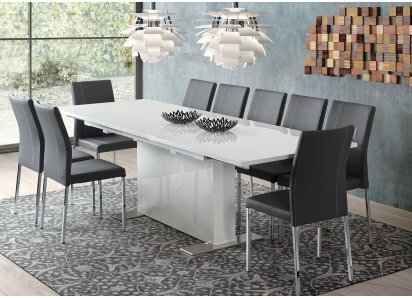 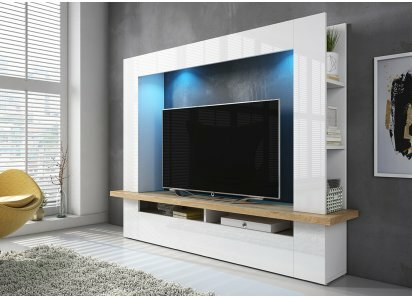 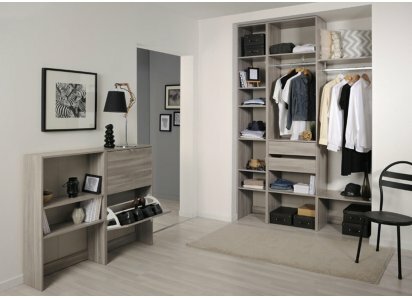 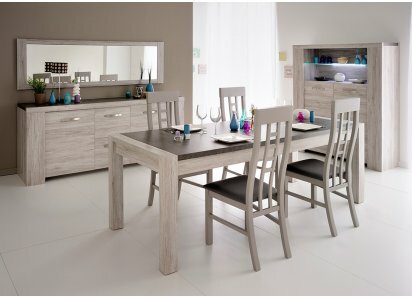 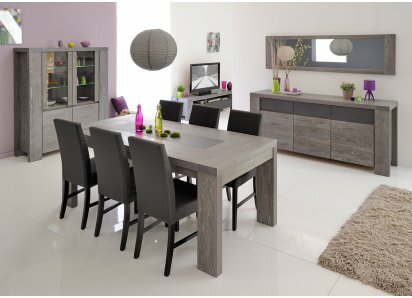 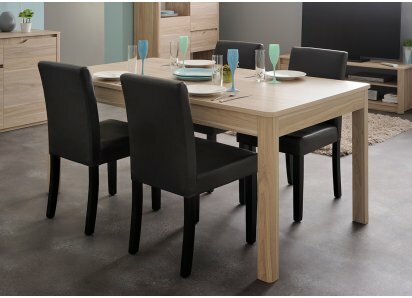 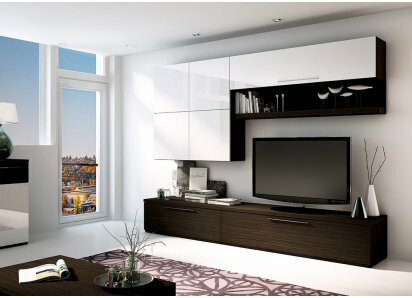 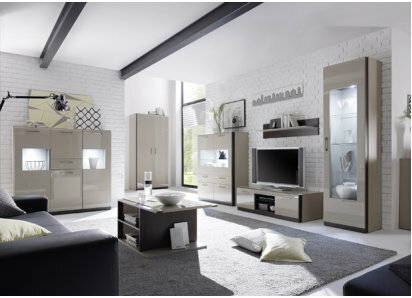 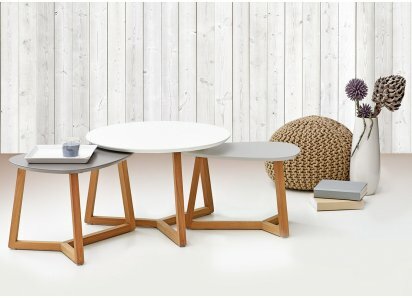 Whether you live in a house, condo, apartment, or mobile home, this collection creates the full dining experience, complete with a table with extensions that comfortably seats 6 people, Mala faux leather and chrome modern dining chairs, and a glossy buffet with drawers and dramatic LED lighting for display and ambient light. 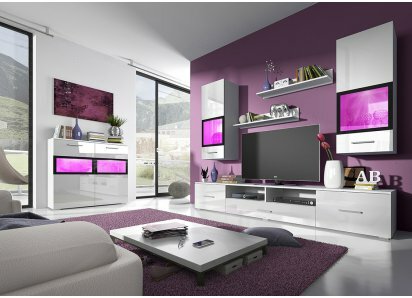 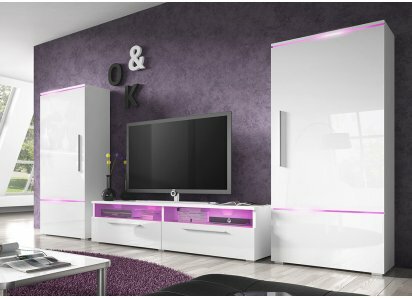 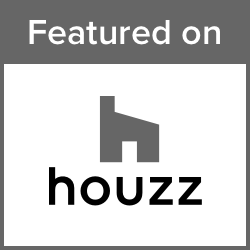 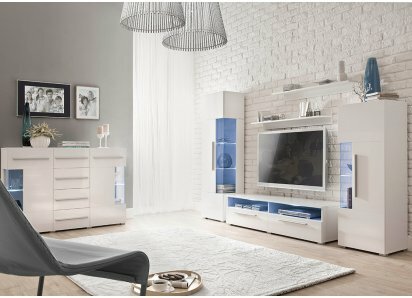 White is always in style, and can be paired with any color, to create the soothing look of an all-white monochromatic room, or as the dramatic white focal point in a colorfully painted space. 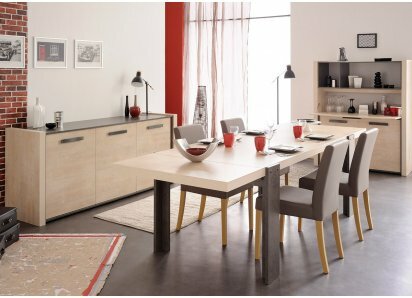 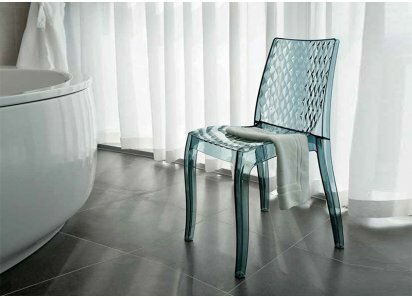 Whether your tastes run to the sophisticated or the zany, the decorating possibilities are limitless with the Ceram Dining Room Collection!